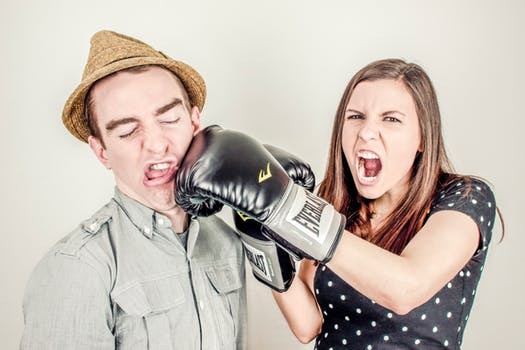 Home > Blogs > Paul Spasic's blog > Marriage Strengthening Tip #13" Do You Disagree, Argue, or Fight? Marriage Strengthening Tip #13" Do You Disagree, Argue, or Fight? Marital disagreements or arguments in which you remain civil are not only acceptable, but inevitable. It's fighting (verbal swordfights) that erodes the relationship, much like relentless ocean waves do a shoreline. If your goal is to stop arguing all together (even in civil ways), or to never again disagree, you'll likely never get there. But, you can, and must, stop fighting! In this five part blog series, I'll tell you how. John & Julie Gottman of The Gottman Institute have conducted landmark marriage research predicting, with up to 90% accuracy, which couples will divorce and which will stay together. What do you suppose their research indicates as to one of the surest indicators that divorce is on the horizon? You may be surprised. Not money problems, or even infidelity. It is habits of relating that include the fact that either or both spouses maintain the habit of showing contempt for the other. Comtempt includes things like name-calling, eye rolling, and many other verbal or nonverbal expressions conveying disgust. The Gottmans' work, the most extensive research ever done about marriage, goes so far as to suggest that a sustained habit of being contemptous with one's spouse is more or less the beginning of the end of their marriage. Stay tuned for Part 2 of this series. Meanwhile, consider Webster's definition of contempt: the act of despising. If you are acting that way toward your spouse, abandon it today! And read the remainder of blogs in this series.